Home Health Can I Give My Dog Melatonin? Is Melatonin Safe for Dogs? ​Though we often know that something is wrong with our precious pets, we rarely know immediately what to do to help. This is especially true when your dog is displaying signs of disordered sleeping habits and anxiety. Veterinarians will often recommend sedatives and antihistamines to get your dog calmed down, but these are really only a last resort that many dogs don’t need. Melatonin is a hormone that dogs and humans naturally produce, meaning there is a lesser chance of unwanted side effects. 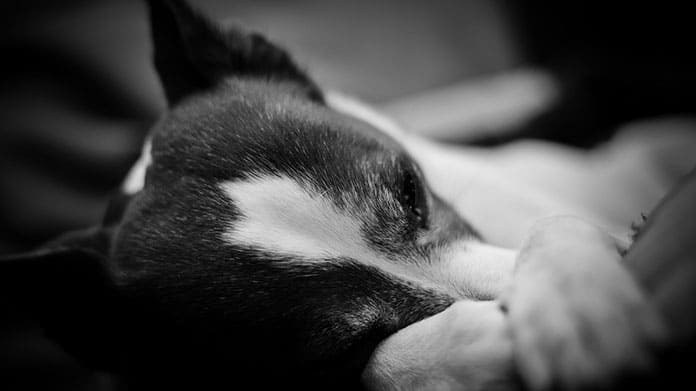 Whether or not melatonin is a safe choice for your dog will be covered in this article. ​Can I Give My Dog Melatonin? Is ​​It Safe for Dogs? The short answer is: Yes​. However, ​always talk to your veterinarian before starting your dog on a melatonin regimen. Unlike other methods, melatonin natural properties has not been significantly studied for side effects and safety, nor is melatonin approved by the FDA for animal use. The ​supplement is considered “experimental” because of this. ​The one contraindication for melatonin is with pregnant dogs. Even though Melatonin is a safe and gentle drug, it should never be given to ​pregnant dogs and puppies under 12 weeks old. It's better to be safe than sorry. ​Also be ​aware that while melatonin is a naturally-occurring hormone, it may not blend well with other medications and supplements your dog may be taking. When in doubt, consult with a professional. ​How Much Melatonin Can I Give My Dog? ​You shouldn’t run out to the local ​drugstore and pick up melatonin capsules that are made for humans. ​Generally, it is always best to purchase a quality, low-dose melatonin that is made specifically for dogs. Many melatonin supplements designed for people contain substances that are potentially harmful to dogs. For example, steer clear of melatonin products that contain artificial sweeteners like xylitol, which is toxic to dogs. ​Since melatonin naturally occurs in your dog’s body, there are usually very few side effects to worry about. However, like people, every dog is different, so we'll never know how your dog’s going to react to melatonin until your dog has received a couple of doses. ​Can a Dog Overdose on Melatonin? ​Yes, it is possible for a dog to overdose on melatonin. That is why you should never give your dog such supplement without first receiving a medical opinion. Slight overdosing is unlikely to cause any major issues apart from stomachache and sluggishness, but a significant overdose can be extremely severe. To avoid overdosing, always take note when you give your dog the melatonin so that way you don’t end up double dosing. Also, keep the medication out of reach from curious mouths and noses! ​If you suspect your dog has overdosed on melatonin, don’t hesitate to call the ASPCA poison control hotline at (888) 426-4435 or your local veterinarian as soon as possible. ​Veterinarians, like the respected author and holistic vet Dr. Judy Morgan, will often prescribe melatonin for various forms of anxiety. The supplement is noted to ease the symptoms of separation anxiety, which can turn a dog into an overly anxious mess. Other anxieties, like terror during a thunderstorm, can be soothed with a small dose of melatonin. 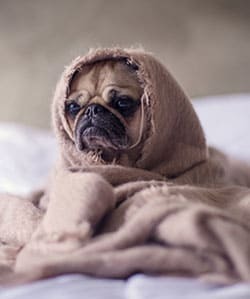 Some dog owners will also give melatonin to mellow out their ​pooch prior to something that would induce fear, like long car rides, a visit to the vet, or other stressful experiences. Since melatonin generally has a calming effect, you can use it when other methods fail to help your dog find peace. Also known as canine alopecia, extreme hair loss is often a problem for dogs for a variety of reasons. Veterinarian Sue Paterson states that melatonin is useful for hair loss because it can reset the natural body clock. Paterson discusses how melatonin is often used to treat a condition called Alopecia X. This condition usually develops in dogs with double coats, like Malamutes, Keeshonds, Great Pyrenees, and Pomeranians. Alopecia develops bilaterally alongside hyperpigmentation of the skin. Melatonin has been shown to add in either partial or complete hair growth when coupled with topical glycolic shampoo and oral retinoid therapy. ​Another type of alopecia that melatonin helps with is known as “canine recurrent (seasonal) flank alopecia.” This type of hair loss happens on a seasonal basis, around November through March, usually as a result of the dog’s inability to adapt to the modern environment. Dog breeds that suffer from this type of hair loss include Dobermans, Boxers, Mastiffs, and Airedale terriers. Melatonin theraphy was noted to help increase hair regrowth in recurrent alopecia cases by up to 50-75%. ​As we mentioned earlier, capsules made for people may have ingredients that ​could hurt your dog, so always opt to purchase all natural capsules designed specifically for your four-legged companion. ​We recommend K9 Choice Melatonin capsules. In a single bottle, you get 180 capsules at a dose of 1mg melatonin. This means you can give a small dose to your dog and not have to worry about overdosing. The other ingredients in the capsule are rice flour, gelatin, silica, and magnesium stearate. None of these additional ingredients will harm your dog. It does not contain xylitol. Though these are capsules, the reason why they are so great is due to how easily you can pull the capsule apart and sprinkle the melatonin directly on your dog’s food. The powder is tasteless, so your dog will have dinner then be able to calm down for a quiet night. ​So if you are looking for a reasonable price melatonin supplement for your dog definitely give K9 Choice Melatonin capsules a try. ​Not many people seek out medicine for their beloved pets, especially when it comes down anxiety-related issues or alopecia. However, the natural hormone known as melatonin is a relatively safe supplement that can calm a dog’s nerves, reduce stress, and even help in the regrowth of fur. Always be sure to check with your veterinarian about whether or not melatonin can aid your precious companion. Once you have the ​go signal, keep the information in this article close and dose properly. 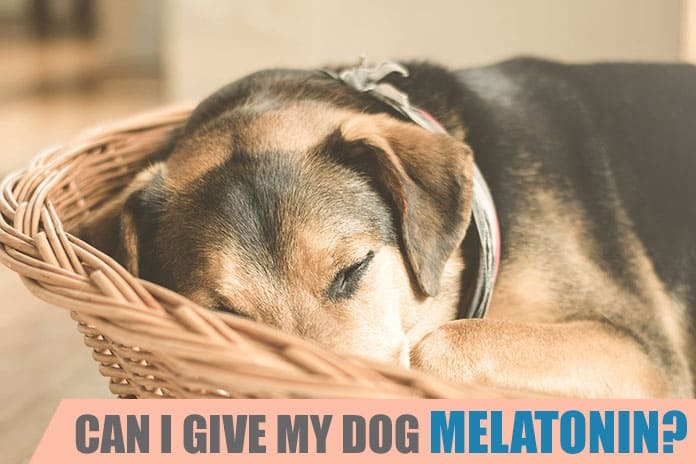 Have you ever tried melatonin on your over-anxious dog? Did the supplement help? We’re curious to know about your experiences with this supplement, so please share in the comment section below. When my poor dog Snoop seems anxious, I give him a melatonin supplement and it helps! But before I try it out, I make sure I contact and discuss it to our vet if it would be helpful and he gave me a go signal.